Car recycling for a vehicle’s disposal is not only the best way to dispose of a car; it is also a great way to get Cash for Car. QB Copper Recycling offers the following information on recycling old, damaged, and scrap cars. Firstly, that old car, whatever its condition, should never be disposed of in a landfill. Anyone with knowledge of the terrible pollutants to the environment knows that a car disposed of in a landfill is an environmental hazard. Cars take hundreds of years to decompose when disposed of in a landfill, and all that time, the car is letting go of hazardous toxins that seep into the soil, water, and air. It is a terrible way to dispose of a car, especially when there is an eco-friendly solution. QB Copper Recycling buys all types of non-ferrous and Ferrous Metal Perth. When you have an old, damaged, or scrap condition car what else can you do with it than have an eco-friendly disposal? You know of the hazardous toxins that contaminate the environment should you dispose of the car in a landfill or open plot. And, why would you not want to get cash for the car regardless of its condition? With QB Copper Recycling, we buy all conditions of cars to recycle, paying the car owners cash for their cars. We are a car recycler and removal company in Bentley that is a trusted recycler, recycling ferrous and nonferrous metals. What that means for car owners is that they have a company that will pay them a fair price to recycle their cars of any make and condition. When you sell your car to us, you have a car buyer that is also your car removal company and your car recycler. We offer all our premium services for free, all while paying top cash for cars that we purchase to recycle. We have such an easy car buying system that car owners can get quotes for their cars over the phone or online. Give us a call at the number below or visit our homepage to complete our online “Get a Quote” form. 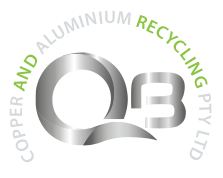 With QB Copper Recycling you have the car buyer that leaves the smallest imprint on the environment when disposing of cars. We recycle! Call us at 0411 318 857.